I seem to connect food with activities. 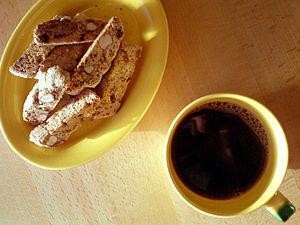 If I am writing, I like coffee or tea and biscotti. 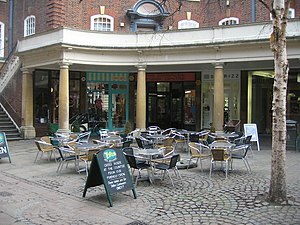 If I am meeting someone to discuss something, I like to usually go to a coffee shop or meet for lunch or breakfast. I have experienced that the best conversations with people are usually in the kitchen. Although the food is usually satisfying, later I feel hungry again or just want the “food experience” with what I’m doing. God’s word is also known to feed us. It feeds our inner soul and spirit and it tastes so good. The fullness of the word keeps us content for a long time … eternally. It builds us up and makes us strong from the inside out … stronger than what the flesh builds on from regular food. It never wears thin and there is always room for more. If our spirit is running low and thirsty for a cool drink, we need to intake more of God’s daily bread to be satisfied. It’s always ready to eat. Faith Tip: Daily take in some of God’s food. He has it ready for you. Sitting down at a table at a restaurant the other day and being handed a menu, I began to peruse the choices. Everything looked good and I found it difficult to choose. The server wanted to bring me what I wanted, but was unable to do so until I made a choice. If she brought me something I didn’t want, I wouldn’t appreciate it as much. It’s important for me to know what I want. It’s also important for us to know what we want from God. It’s not that he doesn’t already know, but we need to understand what we want and why we want it. God is not ready to take our order and serve us as we desire, but is there to give us the best. Most times, we don’t know what the best is, but if we pray for God’s most excellent in our lives, and seek to know what God wants, we know what to ask from him. He will respond … perhaps not in the way we imagine, but it will be good. Faith Tip: What do you want God to do for you today? Why do you want that? Have you ever been tempted? That sounds like a really silly question, because we know that we have all been tempted by one thing or another. 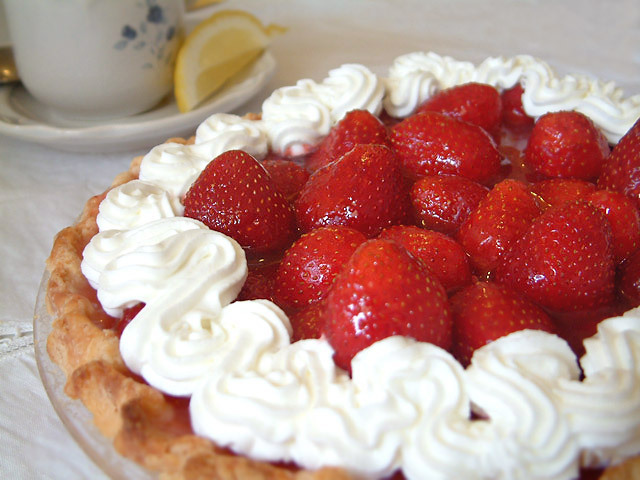 Just last night, I was tempted to eat a strawberry tart. I ate it. But then I can rationalize it by thinking, Well, at least I didn’t have the chocolate cherry cake ala mode. It was busy yesterday running from one appointment to another, so because of stress and the relaxing benefits of this dessert, I can indulge. Creating excuses has never been a problem for me. The truth is temptation surrounds us all the time … it’s not hard to find. The bigger truth is that God has provided for us a way out … if we choose to take it. The strength of God is more powerful than the pull of temptation. The power we plug into, God’s or our own, will make the difference in our delivery. Faith Tip: Next time you are tempted, and it could be any minute, pray and read God’s word. When I woke up this morning, I had some needs in my mind to start my day. The smell of coffee brewing helped the process get started. Taking a bit of time to do some knitting on a pair of socks for a special lady seems to bring balance also. I also like to have granola with applesauce and cinnamon … it’s kind of like having apple crisp without all the fat. Each of us has different ideas of what we need each day. Our preferences differ, which makes sense as we are created uniquely. However, there is one need we each have every day that can only be filled in one way … God. The void inside of us that is made only for God is satisfied only by his presence. We know there is something inside that makes us want to “worship” something. Many times, we choose the wrong object and find the hole in us still lacking fulfillment. It’s when we build on our relationship with the Lord that contentment is felt. Reading God’s word and praying to him allows us to grow in relating with him. That’s the need we each have every day. Break off a piece of God’s daily bread and be nourished. 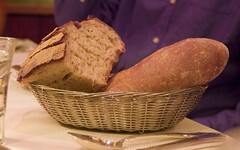 Faith Tip: Realize your daily need for God’s bread, and eat of it. Do you ever wonder what life would be like if we all lived obedient to God? I am sure it would be very different. It would be perfect. 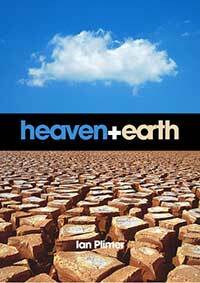 I imagine life in heaven would be no different than life on earth. It would be sinless. Although we do not live in sinless territory, we still see glimpses now and then of what is to come. When we experience love for our neighbor, forgiveness, unity and other great characteristics of God, we experience heaven. These types of occurrences clash against the worldly incidents, which many times are used to shape us into the image of Jesus. God manifests his presence and reign through us, his children. We are the tools used to make God and heaven real for others to see and experience. Opening ourselves up to God’s will means to turn our back on the will of the world. This can be a difficult thing to do. It takes a conscious effort, for the world continually tempts and calls to us to follow it, but God gave us the instruction book that we need to open and read. Technology makes it easy to communicate with the world, but it’s easier to connect with God through prayer. It’s our choice to experience more of heaven or the world. Faith Tip: How can God use you today to give someone a glimpse of heaven? I have used Deborah from Judges 4 as an example of priorities. 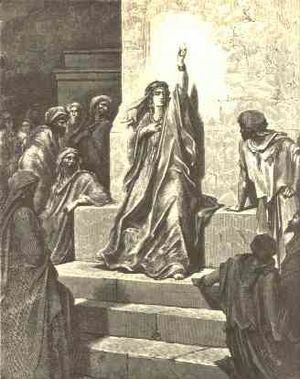 Reading through the Scripture one day, it struck me how she was described. She was a prophet, wife and judge. To me, it looked like a listing of her priorities. In being a prophet, her number one priority was her relationship with God. She sought God and in doing so was given much wisdom. That’s why the people came to her as a judge to help them sort their problems out. God used her mightily for her devotion to him. We should be conscious of our deep love and respect for God and all that he stands for. There are none like him; therefore, he is holy and all that he does is holy. Do we keep his name holy in our hearts and minds as we live life on a daily basis? Faith Tip: Reflect on the holiness of God and what that means to you. On my online calendar, I have a spot to list people I want to keep in prayer. They know I pray for them daily. I remember the peace I was given when people were praying for me as I went through my cancer journey. As I pray for others, I humanly ask for their healing, for restoration, for whatever will make their life “normal” again. When Jesus was asking the men to keep watch with him, was he asking for a change in the circumstances? His heart was set on doing the will of the Father. It was hard for he knew what was coming. 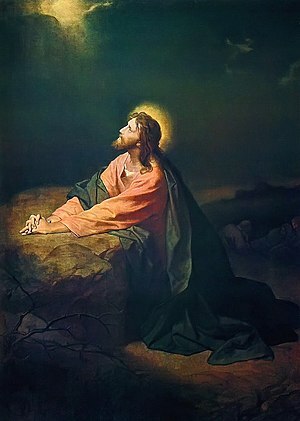 I wonder what the disciples prayed before they fell asleep for they didn’t fully understand what was happening. Could it be that Jesus was asking them just for their support in this difficult time? He wanted them to join him in talking with God and become strong from the events that would occur. He didn’t want them to be lazy in prayer, but to pray for strength to persevere. The death Jesus was facing was terrifying. The disciples needed to be connected with God so they would be able to stand strong with God’s message and not flee. Is that why we pray? Faith Tip: Take some time to keep watch today.